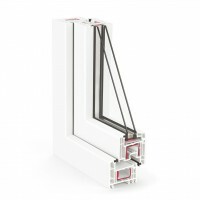 Straight and perfect forms of REHAU EURO 70 give windows strict classic looks. It effectively combines energy-saving solutions and sound-isolation techniques, as well as dust, noise and elegant looks. REHAU EURO 70 is exactly the variant the combines all you need in sufficient amounts.